The problem was my expectation, I went in expecting a small nice eat out it but landed up going to an upmarket space with a very simple but elegant interior,and I was not even dressed for the place at least for that Saturday evening crowd. The menu arrived and the first starter was priced at Rs. 750, but we spotted half portions for most of the starters and they were priced at around 260 each. 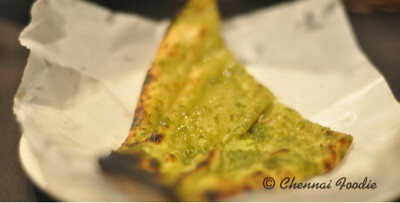 We settled for a chicken achari, a jeera pulao, a dhal makhani and a garlic naan. 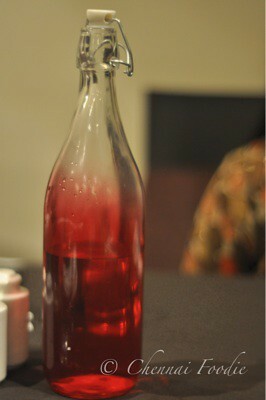 As the food arrived, the price just evaporated from our minds as the food was outstanding. The chicken achari was grilled to perfection and it remained juicy and it had seven pieces, so a half portion was just right for the two of us. 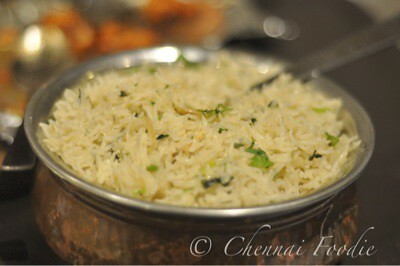 The jeera pulao matched perfectly with the dhal makhani, and the garlic naan was just perfect. The quantity is impressive and was sufficient for the two of us. 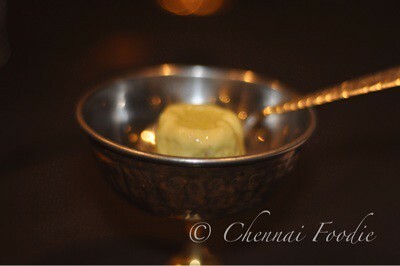 We asked for a kulfi to be shared and it was decent, not great. Service was impressive. They had issues with us shooting pictures, but after I explained about chennai foodie, I was eventually allowed to shoot photos of their food. That was a surprise as I have never met that resistance anywhere thus far. Ambiance is classy and the pricing, though was higher than we expected before landing here, did not leave us sulking as the food was outstanding. A meal for two will cost you around Rs. 1300 for non veg. 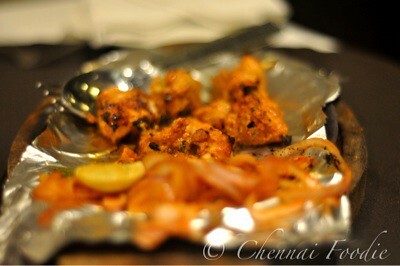 Easily the best stand alone Indian restaurant in Chennai. Moti mahal is located on Jaganathan street, right next to Lister metropolis in Nungambakkam.